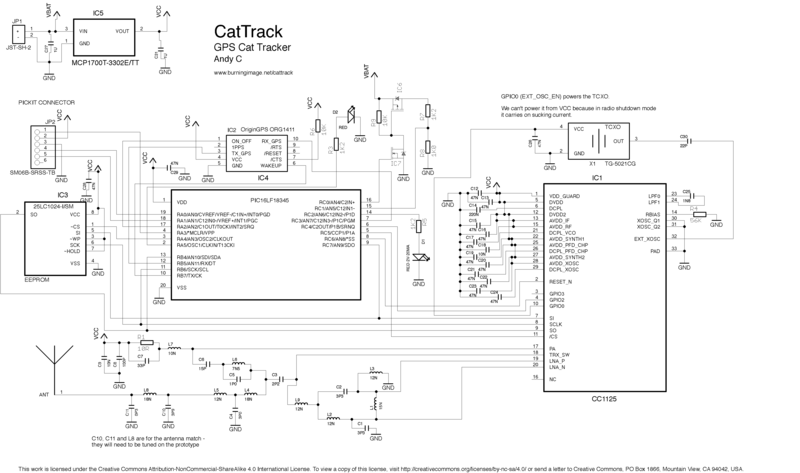 The first thing I did was to have a look at other cat tracking products on the market. I found that they all have a big flaw… battery life. I wanted GPS level accuracy and a battery life measured in months. Nothing on the market offered that, so it was down to me to design it! PCBs, Posts 0 comments on Base station PCBs have arrived – time to solder! I’ve finished laying out the base station PCB, hurrah! As ever I’ve laid it out using Eagle – this time I’ve managed to keep it to two layers so that’ll save me some money in PCB manufacture costs. Click it to enlarge. Posts 12 comments on It works!!! The time has finally arrived, let’s test CatTrack on Buttons. It doesn’t seem to bother him anyway! The PCBs have arrived from OSH Park! As expected, they look good and the quality is excellent. As an added bonus, they even fit in the case I designed them for. Result! Over the last couple of weeks I have also been ordering all the components from a combination of Farnell and tme. Everything’s arrived and it’s all ready to solder into place. I’ve also got the firmware into a state such that something should work too. Now it’s time to get soldering!